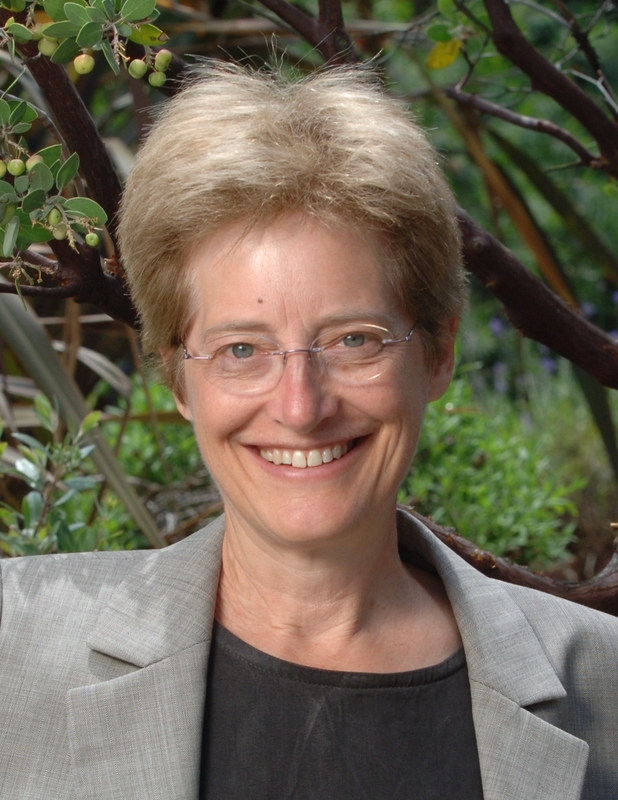 Ann Taves is professor of religious studies and holder of the Virgil Cordano OFM Chair in Catholic Studies at the University of California, Santa Barbara. Before coming to Santa Barbara in 2005, she taught at the Claremont School of Theology and the Claremont Graduate University for over two decades. Taves received her PhD in the history of Christianity with an emphasis on American religion from the Divinity School of the University of Chicago in 1983 and her BA in religion from Pomona College in 1974. She is the author or editor of four books and numerous articles, including Religious Experience Reconsidered: A Building-Block Approach to the Study of Religion and Other Special Things (Princeton University Press, 2009); Fits, Trances, and Visions: Experiencing Religion and Explaining Experience from Wesley to James (Princeton University Press, 1999), which won the Association of American Publishers Award for Best Professional/Scholarly Book in Philosophy and Religion in 2000; Religion and Domestic Violence in Early New England: The Memoirs of Abigail Abbott Bailey (Indiana University Press, 1989) and The Household of Faith: Roman Catholic Devotions in Mid-Nineteenth Century America (Notre Dame University Press, 1986). Taves was a Fellow at the Center for the Advanced Study in the Behavioral Sciences at Stanford University for the 2008–2009 academic year. In addition to her duties as president of the AAR, she also serves on the Steering Committee of the International Association for the Cognitive Science of Religion. Taves: By the time my parents married both had pretty much given up on religion, so my upbringing was culturally Protestant but unchurched. In grade school, evangelical kids had me worried about the state of my soul, so at my request, my parents agreed we could go to church — the Unitarian Church — as it turned out. So as a fourth grader in a Unitarian Sunday School, I learned — much to my relief — that “man created God,” and not too long after, we fell back into our unchurched ways. But I was always interested in — and I confess somewhat baffled by — the religious beliefs of others, and during my freshman year in college, I stumbled into a “theory of religion” course. We read Schleiermacher, Kant, Otto, Freud, and I can’t remember who else. I could barely follow the discussions, but it was clear that religion was much more complicated than I had ever imagined and, well, I was hooked. RSN: What has compelled you to research, publish, and lecture in the area of Catholic Studies and lived religious experiences? Taves: Those interests developed while I was a graduate student at the University of Chicago. But there were an incredible number of twists and turns between that first religion class and entering the Divinity School eight years later. In college, I wound up majoring in religion, while completing all the pre-med requirements. I studied religion because it drew me into the questions that I felt mattered the most — questions about life, and meaning, and purpose. The early seventies were in many ways a continuation of the late sixties and, like many others of my generation, studying religion was a kind of spiritual quest. But my intention was to combine the questing with something practical and medical school was my practical plan. After a year of medical school, it was clear that my plan was too practical. With the help of a friend who knew me well, I made the decision to take the risk of following where my heart was leading even though my path at that point wasn’t too clear. So I did various things for a while — worked for the Lutheran Student Movement, enrolled in a seminary-based MA program and considered becoming a minister; then I read Mary Daly, got really angry, and that plan collapsed. Fired up by questions that a seminary didn’t seem suited to answer, I found my way into another life changing “theory of religion” course, this time at the University of Rochester, and it was Bill Green, who got me thinking that maybe I should consider graduate school. I went to the University of Chicago with the idea that I wanted to bring a history of religions approach to the study of Christianity. I wound up in the history of Christianity track, focusing on American religion with Jerald Brauer, who had a particular interest in bringing history of religion perspectives to bear on Protestant revivalism. At that point, we were all realizing how Protestantism and especially Puritanism had shaped the narrative of American religious history. Martin Marty and Brauer encouraged us all to tackle what hadn’t been focused on. So it was in that context, realizing that I knew almost nothing about the single largest denomination in the United States, that I decided to learn something about Catholicism and eventually wrote a dissertation on Catholic devotional practices. RSN: At what point did you decide you wanted to become a scholar of religious experiences? Taves: I can date that pretty exactly. It was on a train trip through Baja California over winter break in 1989 with Karen Torjesen. But the decision I made was not to study religious experience per se. Rather, I had an insight — an “aha” experience, if you will — on that trip that completely reoriented my relationship to the history of Christianity and led me to focus on experience. I had gotten tenure the previous spring and was feeling as if the research agenda that had carried me that far — which was still fueled by a considerable amount of anger at the tradition — was not going to sustain me over the long haul. So I decided to spend my sabbatical studying Marriage and Family Counseling, knowing that if I didn’t have any desire to do research, I wasn’t going to want to stay in academia. Well, it turned out that, even though the MFCC program I entered was very practically oriented, I spent most of my spare time in the library researching interesting things. I was especially fascinated by the cases of multiple personality disorder that were common in the eighties, many of which involved experiences that I didn’t even know people could have. Not too long before Karen and I set off on our trip, I came across a new textbook on multiple personality disorder that opened with a chapter on shamanism. That book connected the dots between psychiatry and anthropology. Then on the trip, talking to Karen, the two dots — multiple personality and spirit possession — connected with a third — the experiences of the early Methodists falling and shouting in ecstasy that I, having no idea what to make of them, had hurriedly skimmed over in class. The three dots connected to create an interdisciplinary triangle between psychiatry, anthropology, and the history of religions. I wasn’t equating the three kinds of experiences, but I wondered if there were common mental processes involved and I felt a huge rush of energy when I realized I could position the history of Christianity not at the center but as one partner in an interdisciplinary conversation. That insight catapulted me into an intellectual space between disciplines that I have occupied ever since. After struggling for quite a while to figure out how to talk about experience from the undefined space between the disciplines, I published Fits, Trances, and Visions in 1999 (Princeton University Press). That book traced the history of competing explanations of unusual experiences offered by religious believers and their detractors over the course of three centuries. It ended at the turn of the last century with the incredibly rich set of interactions between experimental psychologists studying cases of dissociation and doubling of the personality, psychical researchers investigating spiritualist mediums, and psychologists of religion studying conversion and mysticism. Their conversation was my conversation and I keep coming back to it. But Fits, Trances, and Visions was a history of discourses about experience. I didn’t really tackle the problem of experience per se and for the most part I didn’t “take sides.” Midway though this past decade, however, I seem to have “gone over to the dark side,” as my friend Tom Tweed proclaimed, half in jest, at an AAR session in 2004. His crack came in response to a paper, written for a session he organized, in which I used recent scientific research on hypnosis to take up the questions that had preoccupied researchers at the turn-of-the-century. It went beyond analyzing the discourses surrounding experience to ask how we might explain the experiences of mediums in naturalistic terms. Probing these questions has brought me into conversation with work in the cognitive sciences, which is really just a fancy way to refer to the interdisciplinary study of the mind, as it relates to the study of experience. My most recent book, Religious Experience Reconsidered (Princeton University Press, 2009), is an attempt to rethink how we study experience by focusing on the processes that lead people to set some experiences apart as sacred, or religious, or, more broadly, as special, and then in some cases incorporate them into the larger formations we call religions and spiritualities. Taves: Even though I have intellectually moved into an interdisciplinary space, my home base remains religious studies and my “stuff” remains the history of Christianity and religion in the United States. In moving from Claremont, where I taught only graduate students, to the University of California, Santa Barbara where I teach a mix of graduates and undergraduates, I’ve had lots of new opportunities and many new things to learn. Though in many ways undergraduate courses — especially large ones — are more challenging to teach, I now have the opportunity to try some things that I find very exciting. While I was at Claremont, I got very interested in early Christianity, but as a historian of the modern period it wasn’t something I could teach at the graduate level. I had little opportunity there to think about Christianity as a whole, as a religion among other religions. So one of the things that appealed to me about taking a position in Catholic studies in a large public university was the opportunity to design undergraduate courses on Catholicism that allowed me (and my students) to consider a very large part of the Christian tradition as a whole and, thus, as a giant case study of a new religious movement, its development as an institution, and its interactions with and accommodations to various cultures and traditions. Figuring out how to pare down the whole into bite size chunks is still something of a challenge, but it is a challenge I enjoy and one that provides endless raw material for reflecting on fundamental questions in the study of religion. I’ve also always envied faculty who taught introductory courses where undergraduates got to design their own religions. This quarter I am teaching a new lower division course in which we study three “paths of transformation” in some depth and students create simulated versions of the paths so that they can get a feel for how the paths seek to transform those who follow them. This not only lets us experiment with simulations, but also allows us to think — now that we know how plastic the brain is — about how religious practices might lead to transformation at the levels of brain, mind, and culture. RSN: Can you tell us about your current academic life at the University of California, Santa Barbara? Taves: As a relative newcomer to the university, I am still getting to know the university and working to build bridges. I devoted a lot of time at first to building up Catholic studies, but now that we have structures in place, I am also working with other humanists to build bridges between the humanities and the sciences around issues of brain, mind, and culture. We have any number of resources for doing this. The Sage Center for the Study of the Mind brings exciting speakers to campus to give lectures and seminar series. We have an interdisciplinary graduate emphasis in cognitive science that welcomes doctoral students in religious studies and we have faculty in history, music, and literature who are drawing on scientific research to better understand the interaction between cognition and culture. Our English Department has taken the lead in this, creating an undergraduate track in “Literature and Mind,” for example, that I would love to see religious studies emulate. RSN: What are your goals as the Academy’s President in 2010? I have two additional goals I would like to pursue this year. First, I am worried about the academic job market and what that means both for graduate students who are hoping to land tenure-track positions and for departments of religion that are training doctoral students. I am working with Tim Renick and the Job Placement Task Force to see if we can set up procedures for gathering data that will give us a better sense of what happens to those who enter doctoral programs in religion both in terms of completion rates and placement in academic or non-academic positions. We hope that knowing more about what is actually going on will allow current and prospective graduate students as well as graduate departments to make more informed choices as they move into the future. Second, I am eager to encourage greater collaboration between scholars of religion and scientists. Through plenaries scheduled for our Atlanta meeting, I hope to highlight ways in which closer collaboration between humanists and scientists can advance the study of religion. More specifically, I think it is time that we return to the “taboo topic” of evolution and consider the significant ways in which evolutionary and developmental perspectives on human behavior can contribute to the academic study of religion.